Much of the fuss following Southwest’s acquisition has focused, understandably, on the buyer. After all, the deal is a big one for Southwest, which will expand considerably both in size and reach. But lost in all the predictions about routes and fares and Southwest’s impending head-to-head battle with Delta in Atlanta is the fact that AirTran, which will be absorbed into the Southwest brand, is no slouch, either. 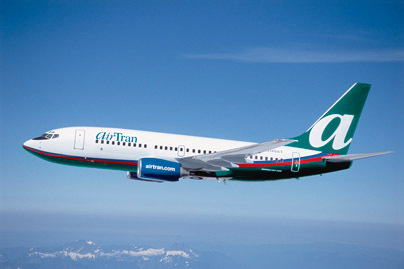 AirTran has delivered a steady stream of value-oriented promotions in 2010, quietly becoming a pace-setter whose prices force other air providers to match or risk being passed over by budget-conscious consumers. Also worth noting is the travel window—or period of time during which a traveler can fly on a given airline’s lowest prices—that AirTran makes available in its frequent sales. The window is consistently longer with AirTran than with virtually all of its competitors. In early spring this year, AirTran was already discounting flights into November. For Southwest, that’s what this deal is all about: pricing power. With one fewer low-cost carrier in the game, Southwest will mostly compete against legacy lines, and that’s a match-up Southwest, with its much lower costs, will take any day. This is nothing new to Southwest, which offers a handful of perks geared toward business travelers, but none of the comfort or amenities available from legacy lines. Southwest said it has no plans to incorporate AirTran’s business-class seating or seat selection. This certainly runs the risk of alienating business travelers accustomed to AirTran’s affordable business-class upgrades, and may hamper Southwest’s ability to crack Delta’s business travel market in Atlanta. We’ll see. So while consumers may be cheering the sudden, significant expansion of Southwest, it does come at the expense of an airline that did a lot of things right (like being the first airline to install fleetwide Wi-Fi) and played an important role in the budget travel landscape. Maybe you won’t lament the loss of AirTran’s bizarre color scheme, but don’t be shocked if you miss AirTran more than you expect.